FLORENCE – Inter, a different team and now world champions in February compared to the December outfit, beat Fiorentina 1-2 in the rearranged Serie A 2010/11 Week 17 fixture (originally scheduled for 18 December) at the Stadio Franchi this evening. 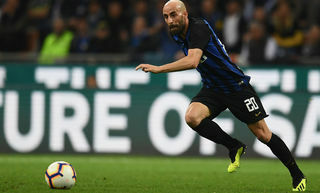 It was an own goal by Camporese at the end of a move constructed by Maicon, Stankovic and Eto'o that opened the scoring and gave the Nerazzurri an early lead after 6 minutes, before Pasqual equalised in the 27th minute when his cross was missed by everyone and caught out Julio Cesar. Ranocchia celebrated his 23rd birthday with an assured performance while Pazzini had his own party as he made his 200th Serie A appearance, doing what he does best and scoring (his fourth for Inter), which proved to be enough to clinch all three points. FIRST HALF – Leonardo gave Yuto Nagatomo his full debut at left-back, with Ranocchia and Cordoba confirmed at the heart of defence. In midfield, with Thiago Motta sitting out through suspension, Stankovic made his first appearance in the side since getting injured on 26 January in the cup match against Napoli. Santana and Mutu started behind Gilardino for the home side. 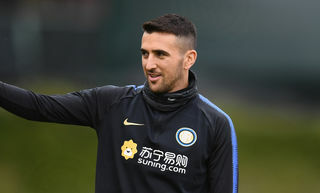 Inter began on the attack with Eto’o laying off for Maicon to cross to the far post, where Stankovic was inches away from connecting. Fiorentina hit back immediately and only a timely intervention from Cordoba prevented Montolivo from threading through for Gilardino. 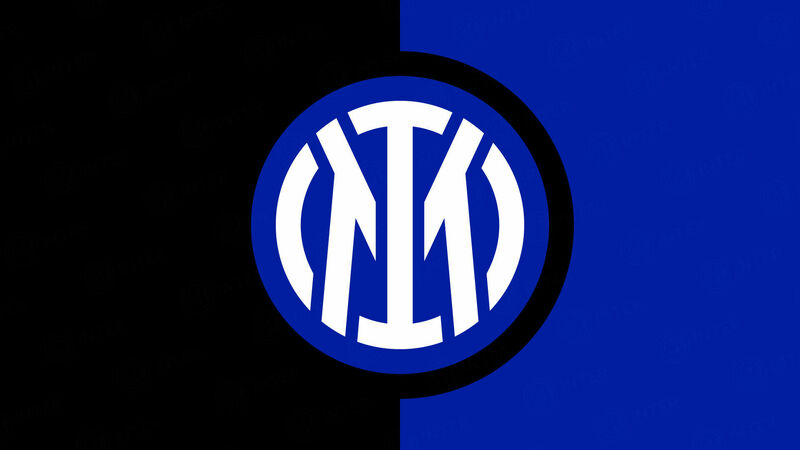 The Nerazzurri got their noses in front after 6 minutes of play thanks to an own goal by Camporese: Maicon burst forward on the break and passed to Stankovic, who in turn laid off for Eto'o; the Cameroonian tried a shot and the defender's clumsy attempt at a clearance ended up beating his own keeper. Stankovic's foul on Mutu gifted Fiorentina a freekick, which the Romanian took himself: it was well hit and well saved by Julio Cesar. Fiorentina went on the attack again: Mutu fired in an angled drive that Julio Cesar got down well for (16th minute), Gamberini's shot was blocked by Cordoba (18th) and Santana had another chance (22nd). 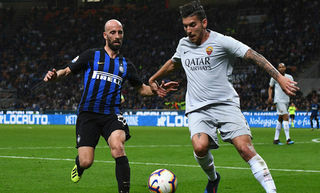 The Argentinian then stayed on the ground after a high-speed clash with Zanetti: the Inter skipper clearly played the ball but Santana picked up a knock to the back of his thigh (25th), so Ljajic came on in his place. The home side found an equaliser on 33 minutes: Pasqual's cross turned into a shot when Gilardino and Cordoba both failed to connect and the ball bounced beyond Julio Cesar. A few minutes later Ranocchia got his body in front of Montolivo's fierce drive before Julio Cesar punched away Mutu's rasping effort. Pazzini, on his 200th appearance in Serie A, made his presence felt after 42 minutes when he got his head onto Maicon's cross, but could only direct his effort above the bar. Fiorentina went closer on the stroke of half time, Ljajic first hitting an effort on the turn from the edge of the box that sailed whiskers over, then – set up by Mutu – striking an arrowed effort that forced Inter's Brazilian shotstopper into a fantastic save. After two minutes of added time, the teams headed in with the score at 1-1. SECOND HALF – No changes were made at half time and after the kick-off it was Stankovic who went close with a right-footed volley (49th minute): Boruc was equal to it and managed to palm the ball away before it crossed the line. After 56 minutes Ranocchi made a decisive challenge on Gilardino to win back the ball as he was reaching the area. Finally, on 62 minutes, Pazzini could celebrate - without overdoing it in front of his ex-fans - his 100th goal with a classic striker's finish: a great run by Eto'o, who came inside from the right, skipped past Camporese and sent a hard cross through the box to find Pazzini, who knocked in from just in front of goal and put Inter back in the lead 1-2. Babacar, who came on in the 41st minute, tried to exploit an inviting pass from Gilardino, but Ranocchia was once again there to intercept after 43 minutes. After 3 minutes of added time, Fiorentina v Inter ended 1-2. The Nerazzurri move past Lazio into third position in the league on 47 points. Scorers: 6 Camporese (o.g. ), 33 Pasqual, 62 Pazzini. Fiorentina: 84 Boruc; 15 Comotto, 5 Gamberini, 31 Camporese, 23 Pasqual; 18 Montolivo, 4 Donadel (21 D'Agostino, 73), 85 Behrami (9 Babacar, 86); 7 Santana (22 Ljajic. 27) 11 Gilardino, 10 Mutu. Unused subs: 89 Neto, 14 Natali, 21 D'Agostino, 29 De Silvestri, 32 Marchionni. 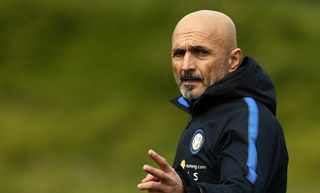 Inter:1 Julio Cesar; 13 Maicon, 15 Ranocchia, 2 Cordoba, 55 Nagatomo (14 Kharja, 71); 4 Zanetti, 19 Cambiasso, 5 Stankovic (20 Obi, 89); 10 Sneijder (17 Mariga, 82); 7 Pazzini, 9 Eto'o. Unused subs 12 Castellazzi, 23 Materazzi, 27 Pandev, 29 Coutinho. Ranocchia: "Important for the title race"
Zanetti: "This win is an important sign"